Jakarta, April 17: Indonesia's incumbent President Joko 'Jokowi' Widodo is leading against his rival, the firebrand ex-military general Prabowo Subianto by at least 10 percentage points in the early vote count. The lead taken by Widodo, claim pollsters, is indicative of his return to power with a brute mandate. Voting was held in the archipelago nation earlier in the day between 6am in the morning to 1pm in afternoon (local time). A total of 187 million voters were eligible to participate in the grand electoral exercise, with the polling body earmarking a total of 800,000 polling stations. Indonesia Holds Elections: Race A Re-match of 2014. Long queues were witnessed outside polling booths in all parts of the nation -- from the slums of Jakarta to the jungles of Borneo -- with international observers claiming that "millions enthusiastically turned out" to register their vote. While Widodo is confident of victory, a similar claim has been made by his longtime rival Subianto. The former military chief said he would eventually surge ahead in the vote count, while asking his supporters to be vigilant and and ensure no fraudulent counts at polling stations. The 67-year-old Subianto, who ran the 'Indonesia First' campaign inspired by United States President Donald Trump, has vowed to review the investment deals with China if elected to power. Ahead of the polls, experts were of the view that Widodo, 57, holds the edge in the presidential contest. Considered a relative-outsider in Indonesian politics, he has succeeded in maintaining a clean image, apart from boosting his "everyman's leader" persona. 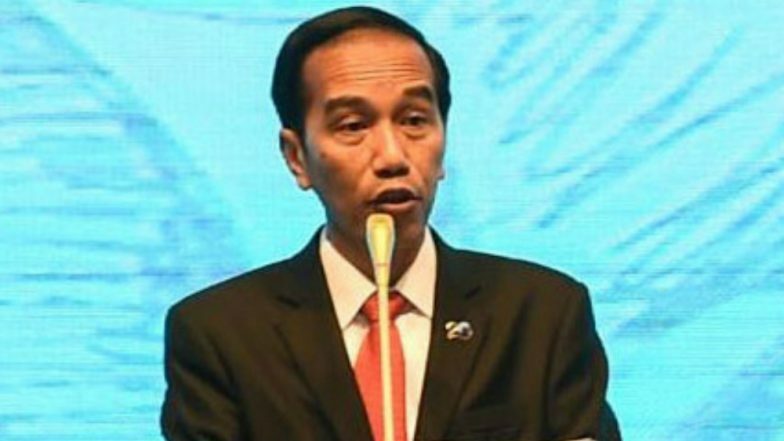 Widodo, however, has drawn flak for the alleged persecution of minorities in various parts of Indonesia -- especially the tribals in Papua where the state has been charged of committing excesses. The growing intolerance against minorities, who form 10 per cent of Indonesia's population, has adversely impacted the "moderate Muslim nation" image of Indonesia.